In this week’s tip, we’ll guide you through setting up a Print Server on your Omega2 in just a few quick steps! Before we go on to the actual procedure, let’s discuss what a print server is and for what it is used. In this scenario, a print server is a physical device that that is connected to the printer with a cable, and creates a virtual “bridge” through the network between a computer and the printer. So we’ll be turning a regular, old wired printer, into a network printer with the magic of the Omega2! To make this happen, we’ll configure the p910nd print daemon. Print jobs will be sent from your computer to the Omega2 where they will be processed and passed along to the printer. The installation won’t take longer than 20 minutes, so get comfortable and let’s rock! It is very important to enable the service, otherwise your Omega will receive print requests but will not be able to ask the printer to print! You can read more about the nitty-gritty of the configuration file on the official OpenWRT page. And that’s it on the Omega side! After you have configured the server, you’ll be able to print a test page! 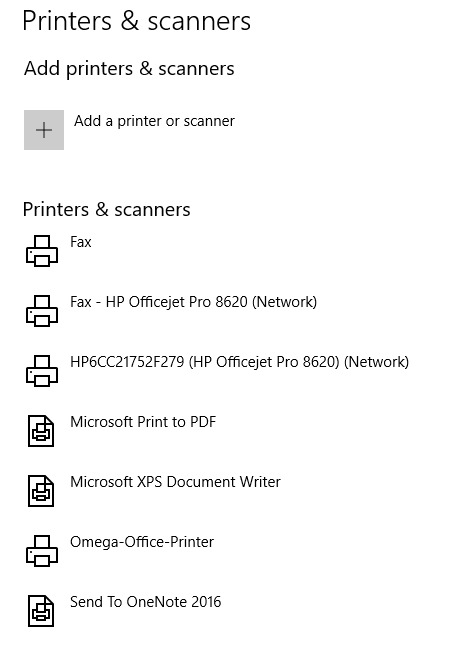 And now, your USB wired printer is available through the network, no more cables!